The Season 38 of the Survivor: Edge of Extinction is coming out this month with a new twist and new players. 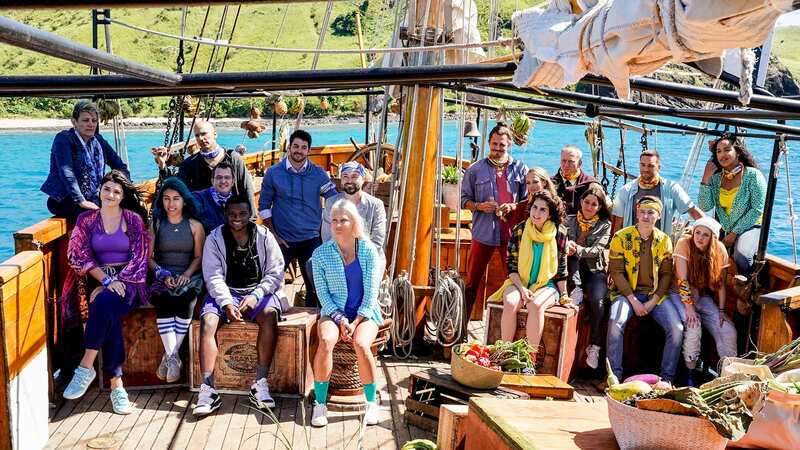 Some of the fan favorites are returning this season which are Aubry Bracco (Season 32: Kaoh Rong and 34: Game Changers), Joe Anglim (Season 30: Worlds Apart and 31: Cambodia), David Wright (Season 33: Millennials vs. Gen X) and Kelley Wentworth (Seasons 29: San Juan del Sur and 31: Cambodia). During an interview with The Hollywood Reporter in Fiji in the early days of shooting, executive and host Jeff Probst revealed to us what Edge of Extinction means and also a huge revelation which is that when players are voted out this year, their journey is not necessarily over. The story of Survivor is pretty simple. In these two tribes goes head to head against each other in a challenge. Whichever tribe losses the challenge, they then go to the tribe council where they have to vote out one of their own. The player is eliminated, they then have to walk down a long road of elimination. But when the player thinks they are Extinct, they realize that at the end of the road they are offered two additional paths. One is to give up or follow an additional path to get on a boat and continue the game. Those plates who choose to exercise the second option will end up on a stranded island known as Extinction Island. This island is a barren wasteland that can’t provide anything for its inhabitants. The beach of this island have a few scattered remnants of a shipwreck which includes a sing that says “Welcome to the Edge of Extinction.” These Players are left on the island until they get a chance to return to the game and if they can’t bear the hardship of the game, the player can fire a white flare to signal their withdrawal from the game. The members of the Kama tribe are Joe and Aubry which are going to be competing alongside seven new players. The list includes Gavin Whitson, Ron Clark, Eric Hafemann, Joe Anglim, Julie Rosenberg, Aurora McCreary, Victoria Baamonde, Aubry Bracco, And Julia Carter. The Survivor Season 38 will release on 20 February 2019. Next articleShingeki No Kyojin Season 4 – When Does It Come Out?